What are Google Adwords Social Extensions? So this month Google introduced a new Ad extension within the adwords interface…. Social Extensions! I know what you are thinking, this was only a matter of time, but either way it is a step towards better integrating your social activity with Paid search at a time when the ties between Social and SEO are very strong. Essentially, the new extension simply allows you to link your Google Plus Brand Page to your Adwords account, meaning that rather than your adwords ad just showing +1’s for PPC ads and PPC landing pages, your ad will show +1’s for all recommendations your business has received, hugely expanding the potential reach of your +1’s! Now what does this mean for us the advertisers? Well increased uptake of Google Plus accounts for business’ has to be one impact, we are all looking for ways to improve PPC performance, improving CTR to evolve Quality Score over time… and from Google’s perspective this is another clever strategy to increase the rate of integration of a social platform that was particularly late to market…. From the user’s perspective, Social activity is likely to have more of an impact on SERP decision making, as the uptake of Google Plus increases, the wider audience awareness will also increase and as such the need for a strong and positive Social profile through Search will become more of a priority. Anyway, let me know what you think, but for the time being, see below for an outline of how to implement Adwords’ Social Extensions. 1. Log into your adwords account. 2. Ensure you are an admin user on both your Adwords and Google Plus Accounts. 3. Navigate to the ad extensions tab for a selected campaign. 4. Select Social Extensions in the Extension drop down. 6. 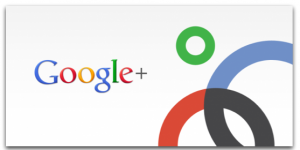 Enter the Url of your Google Plus Page. 7. Note that this does need your Google Plus page to be verified.